I, Benjamin Nephi, having been born of goodly parents and having had a knowledge of God, and his power and mercies. . . Thought it might be nice to provide my readers with a much more personal post this month. I was asked by a friend about my story, and about the authority I claim as a member of the priesthood. I was originally just going to write an email, but then decided that it would be best if I just made it a post on the blog. I hope that all of you can learn something, and that each person who reads this will feel like I had written this to them. So please take a moment to consider that I have written this to you personally. This post contains many personal and sacred experiences to me, and as such it is deeply personal for me to write it down. Liken it to yourself, so that you can open your heart to me as I am now opening mine to you. I am casting these pearls of my soul out to you, and I pray you will receive them with Joy, and not behave like the swine who will turn these things against me and rend me. I was raised in the church by two active, convert, temple attending, mainstream LDS parents. I have no pioneer ancestors, no deep church or Utah connections, and a lot of non-member relatives. Still the Gospel was a passion in our home. We read scriptures daily for most of my life, we attended “Know your Religion” events, we held regular family home evenings. I graduated from seminary, and then institute, and then institute again! I took all the religion courses offered at the time at least once. At university I even wrote about the united order as a social experiment for part of my history and political science degree. By this time I was becoming aware of the serious historical and doctrinal issues faced by the church. This did not make me loose faith in the least. In fact I became for a time an amateur apologist for the church. 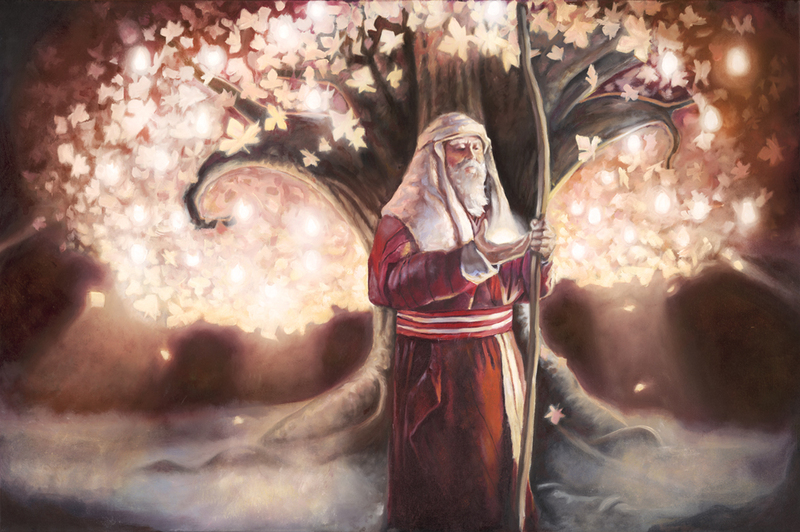 I had learned about the united order and plural marriage from my parents in Family Home Evening as a child, and I loved the idea of Seer’s Stones, and gathering the saints to build the New Jerusalem. So these things that many struggle with were never a problem for me. Some of you may have read “Early Mormonism and the Magic World View” and other books showing a different perspective on church history. I know many people who have been upset about learning things in church history they found weird or unbelievable, but for me I would say that this is the worldview I was raised in: Millennial, Adventist, Magical, and Mormon. So all these things were not strange to me, they were familiar and reasonable. So I spent a lot of my time being what I thought a perfect True Believing Mormon was. For some this is about Green Jello, and Home teaching, and while those things were a regular part of my life, I also thought it was about seeking the face of God, and actually finding him in a grove of trees! I have always felt, and still feel firmly that any religion that cannot offer you objective proof of your faith, though an actual experience with the divine is a waste of time. If you cannot see Jesus for yourself, then why be religious at all? To many my attitude has been considered outlandish, but how can it be strange to a Mormon? don’t we believe that God has actual power? isn’t the priesthood powerful enough to actually transform water into wine? Don’t our scriptures promise us that “Verily, thus saith the Lord: It shall come to pass that every soul who forsaketh his sins and cometh unto me, and calleth on my name, and obeyeth my voice, and keepeth my commandments, shall see my face and know that I am” (D&C 93:1) If so, then why not achieve that level of priesthood, knowledge of God, and power? to me that is the whole goal! So what makes us different? Revelation! and how do we obtain it? Through performance of the ordinances exactly as they were revealed. To me this is the heart of Mormonism: that through employing the right principles we can part the veil and come into the presence of God for ourselves. This may sound like “magic” to some, but to me this is just learning the basic laws of the universe upon which not only religion but all science and knowledge are founded. Therefore I have tried to be obedient to the principles I was taught. I served an honorable full-time mission, I married in the temple, and worked hard to become a full-time career seminary teacher in CES. (the Church Educational System) I participated in the seminary teacher training program, and taught in a seminary for a time, but when I finished my bachelor’s degree, I was not selected to be given a lifetime career status. I was crushed. There may be over a thousand applicants to every position in CES, but I was still convinced I was going to be the one! So with all my training having been focused on teaching I decided to get a job teaching. 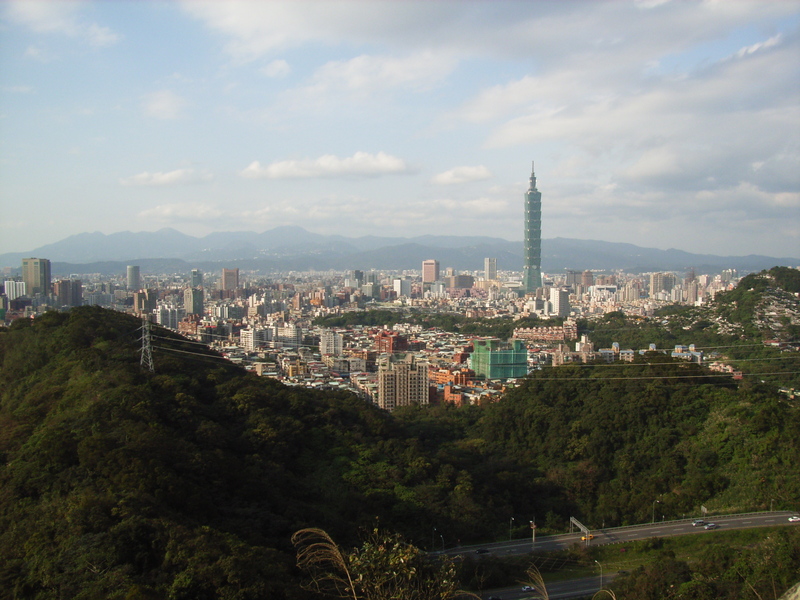 I thought it would be much more interesting to do so overseas, so I moved my small but now growing family to Taiwan. This led to another special opportunity. 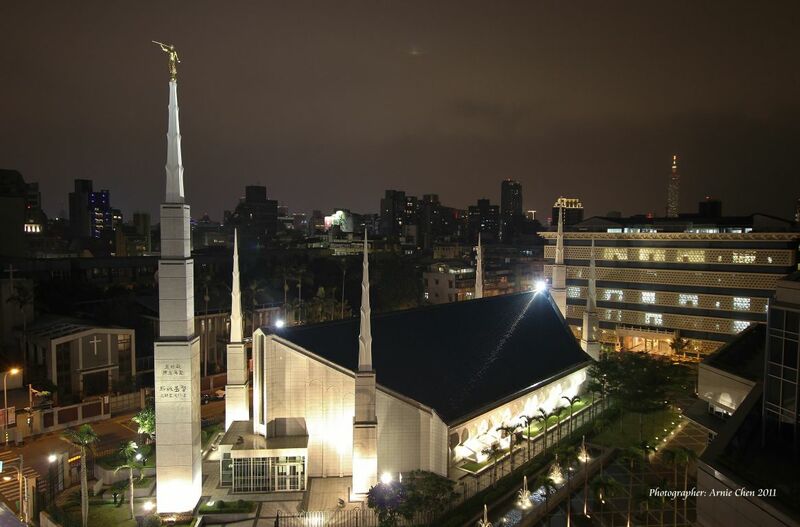 I lived near the Taipei Taiwan Temple. The temple there is not particularly well attended, and it is also small. So I was given the chance to become an ordinance worker. There were a limited number of worthy, english speaking, people who lived within a short distance of the temple, and so I was asked if I wanted to be set apart and serve at least once a week and sometimes more. I jumped at the chance. We performed initiatories most at first, and later I learned to officiate the endowments and be a veil worker. We did initiatories once a week because the washings and anointings were ordinances not well attended there. I should also point out that the Chinese have kept better genealogy for a longer time than any other civilization on earth. I would be willing to bet that if you could make a pile of all known genealogical records on earth, that over 90% of them would be Chinese records. So there is certainly a lot of work to do. They also have no restrictions on doing ordinances for ancestors of any time period, and no other temple (besides Hong Kong) does any of this work because no one else can read the Chinese names. so we could have filled that temple 24/7 for a thousand years and barely scratched the surface! I performed ordinances for people who were born before Isaiah, for people who were born, or died, during the lifetime of Christ, and for people, who, in a few instances, would have been contemporaries with the events of the book of Judges. It was really awesome! Being a temple worker also exposed me to other issues as well. First, I asked the temple president, who called and set me apart and was a member of my ward, some of my most sacred burning questions. I asked him about the second anointings, the second endowments, etc. I asked him about the women ordained to seal the ordinances for the sisters by the power of the priesthood. He did not have satisfactory answers to any of this. Still what could I do? I was seeking to obtain these blessings, and all the ordinances. The temple president was kind about this and even encouraged me to continue to seek, and said that obtaining all the ordinances was a righteous desire. Still he freely admitted he did not have the ordinances himself, and could not give them or even tell me how they could be obtained, or even whether anyone on earth still had the authority to perform them. The next problem arose when the ordinances of the initiatory were removed. I was stunned. How could such a sacred ordinance simply be discarded? and in its place we started placing our hands on the heads of patrons and simply giving them a blessing “only symbolically”. Many of the words were the same, but without actually performing the ordinance I struggled to see how it could be legitimate in the eyes of God. Still, Who am I to question? I am nobody, I am not called to lead the church. Maybe they had a reason. Unfortunately the reasons given and rumored by the temple workers in our temple and others were not very good reasons. Things like, that there had been a lawsuit, or anti mormons were trying to say it was lewd, and many members were uncomfortable with it, or more people are willing to participate since we changed it, or a few other equally shallow reasons. I cannot understand why we would change anything as sacred as the temple ordinances just because we thought more people would like it that way. This opened up another can of worms. Why didn’t anyone know about the other higher temple ordinances anymore? why didn’t even the temple president perform them, or know how to obtain them? This led to discussions about what else had been changed: the garment, the signs, tokens and penalties, the covenants, the veil ceremony, the policies on sealing, the titles of the temple workers, the method of ordaining women who work in the temple, and several other issues. This may have been the first time I felt something was not well in Zion. But what alternatives were there? I had learned of the existence of Mormon fundamentalists, but they just seemed like a lost bunch of polygamy freaks. I mean, what was the point of their religion? they had polygamy, but even the muslims have that. They had no temples, so why would they have any authority? The same with the RLDS. They had the book of mormon, but I had already seen inside their temple in Independence, and it was just a big church, it even had crosses! to me this was anathema! a cross in God’s house? that would be like having other medieval torture devices in there! As a Mormon, to me, this was a sure sign of evil. So what I was looking for was temples, and temple ordinances, and as much as they seemed to be missing in the church, they didn’t seem to be even half as well preserved in any other branch of Mormonism that I was aware of. I resigned myself to the changes, thinking that something was better than nothing. Still, I felt bad for even questioning “the brethren” they could not be wrong, therefore there must be something wrong with me. This was a very uncomfortable resignation. I was at the same time grateful that I had received more complete ordinances myself, and still felt guilty for feeling grateful. I studied Taoism, and Buddhism extensively and found there an avenue for exploring beautiful truths that had been lost somewhere along the way. I became a bona fide Buddhist-Mormon, and I learned Chi Gong. It was a good time, but it was still frustrating. I wanted to circumscribe all truth into one great whole, and yet I found myself instead finding many truths all over but being unable to share and understand them outside the limited sphere where I had found them. The buddhists didn’t understand or accept my Mormonism, and the Mormons didn’t understand my Buddhism. I knew these truths were part of the restoration but I didn’t know how to make all these ideas play nice together. The cognitive dissonance was becoming deafening. 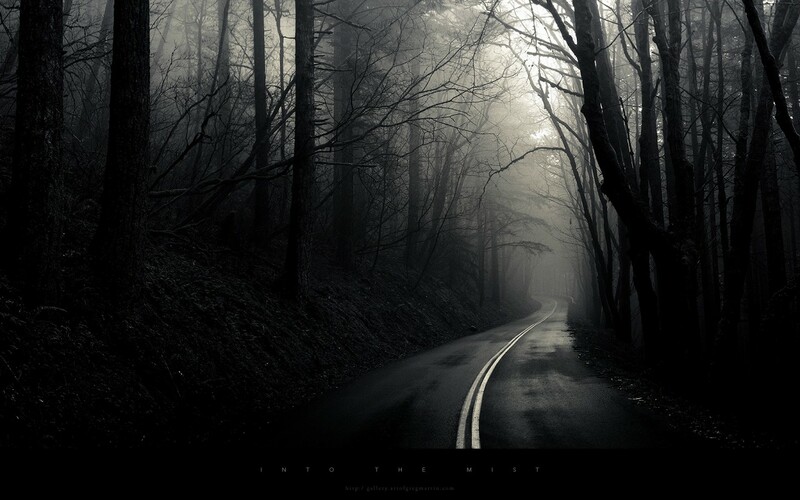 Basically I was lost in the mists of darkness described by Lehi. I had realized that I had not yet obtained the fruit of the tree of life, but I also was not sure how to get to the tree. So I held on to the Iron rod even more firmly than before. I was learning that I could not put my faith in the church or in other mortal men, but that I needed to put all my trust in God. I needed to read his words in the scriptures and pray and meditate to find out for myself. I had for many years assumed that I could obtain the fruit of the tree of life from the mainstream LDS church. What a silly thing to think! The fruit is the Love of God, and it is the way of exaltation. These things are gifts from God, not from mortal men through a church. Up until this time I had always assumed that to say “The church is true” was the same thing as saying “I love the Gospel” or “I know God lives.” But these things are very distinct. I remember being put off when my brother asked me once: “Do you trust in the church to save you? 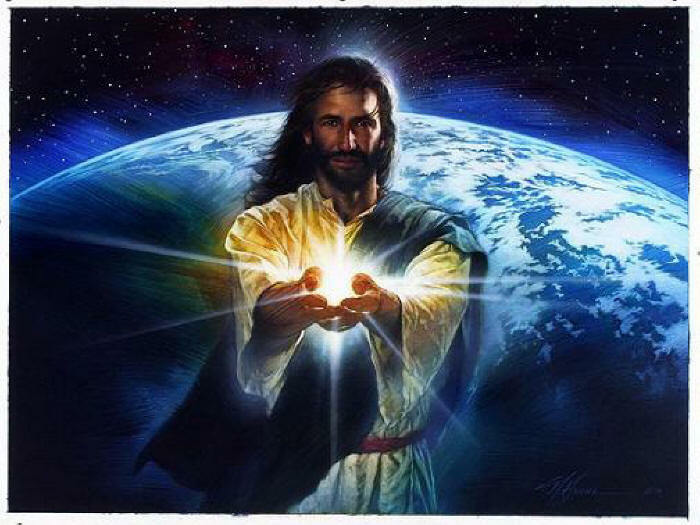 or do you trust Jesus Christ to save you?” I was so taken aback. I had always thought that was the same thing. The more I thought about it the more I realized that this is definitely not the same thing! Even if the church would never lead me astray, change any ordinances, or abandon any doctrines, it would still be a different thing! The fact is we are to put our faith in Jesus Christ, he is the only sure rock of our salvation, and when we build our foundation on anything else, even the church, we are building on the sand. When the rains come, when the devil sends his shafts in the whirlwind, only a foundation on the Rock of our Redeemer will save us. This truth, that only Christ can save, has led many people to erroneously assume that salvation is a solo enterprise. Many people today want to simply seek their own personal relationship with God, and see little use or purpose in a church, or a priesthood. To those of us who think we can draw near God, while at the same time becoming separated, or independent, from others Jesus said “How can you say you love God whom ye have not seen, but love not your brother whom ye have seen?” and “If ye are not one, ye are not mine.” Therefore I knew it was just as important to live in a Zion society; to have church, and the full order of the priesthood, to obtain the ordinances of exaltation, to have temples, do missionary work, to have quorums of the priesthood, and all the rest of the Gospel. I knew that I was not the first person who, upon realizing the fullness of the gospel and the priesthood is no longer functioning in the mainstream church, began to wonder if I would have to simply do my best to be individually obedient. Perhaps without the corporate church there would not be any way to obey the commandments on priesthood order. How could I have a quorum if I left the church? how could I report to a priesthood leader? The mere fact that the church could not function in this capacity was no guarantee that I would find that full order of God anywhere else either, and most of the “Mormon fundamentalists” I knew didn’t seem to think these commandments were important to keep. Most of them are “independents” and do not even have priesthood quorums, let alone the full order of the kingdom of God! This is the problem faced not only by people like Kevin Kraut and Enoch Foster, but also by Denver Snuffer, the AUB, the FLDS, centennial park, and others. If we fail to be organized according to the full order of the priesthood as commanded by God in the D&C, then we are not being obedient to a law upon which the priesthood is predicated. Without this obedience it is questionable the level of priesthood anyone will be able to obtain or retain. The problem I then faced was that wherever I seemed to look, I could not find any church or group that had what I was looking for. Think of it like this: I named my blog Gospel Fullness, not Gospel Partialness. 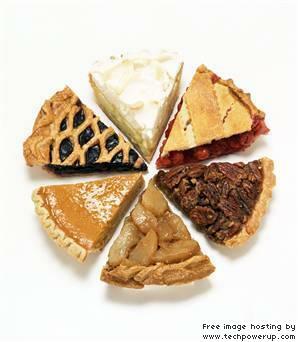 I am not interested in having only a piece of the pie! I want to have all that God desires to bless me with, with all of the Gospel. If I wanted only part of the gospel I could just look for one part. This is why we have so many different churches today, everyone is a hobbyist or a specialist, and very few want to be true gospel generalists. Everyone is excited about the piece of the pie they have, while down playing the ones they don’t like, or don’t have, that is just human nature. It is my understanding that there are about 200 different LDS churches in the world, and as far as I could find out they were ALL hobbyists, yes including the mainstream church, who had some goal other than unity with God and the fullness of the Gospel causing them to be in a state of disorder. I tried to develop a very open but discerning attitude. I realized that I am not the judge of other men’s hearts, so if someone had a claim of spiritual experience or power I would not dismiss it out of hand. Instead I would simply ask the Lord if I had anything to gain spiritually from the association. 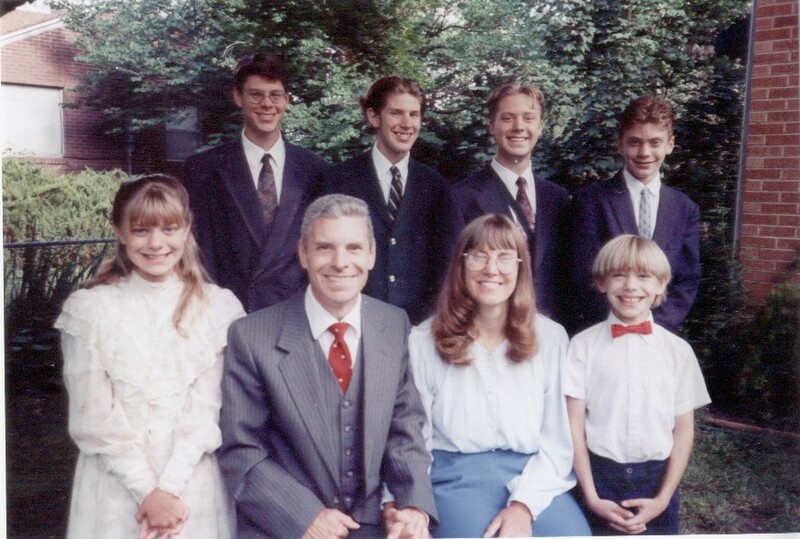 Being as my family was always openly discussing gospel topics we got to discussing fundamentalism, Adam-God, Women and the priesthood, and a bunch of other topics. A few of my family members really got excited about these things, but I just felt disappointed. I felt that even if it was fun to discuss deep truths of the gospel, that the people and groups who were promoting these things didn’t seem to have anything to offer me spiritually. This was because they may have known a lot about certain topics they also lacked the completeness of the Gospel. They were just a bunch of spiritual hobbyists who knew a lot about their own topics, but didn’t have the balanced approach to the Gospel I was looking for. I could join them and trade the temple for plural marriage, but no temple, or I could trade in one “prophet” for another, but no one seemed to have everything the Lord commands. If I was going to go through the painful and difficult process of changing churches I wanted to be sure I was getting something more out of the deal, not just trading one hobby for another. After returning to the U.S. from Taiwan I became the early morning seminary teacher in my stake. This was nice because I could do what I loved most: teach the Gospel. Even though I was not getting paid for it… :^( I was also starting law school at this time so it was a busy year!) One thing that surprised me was that I found that I could often only bear a portion of my testimony on any particular topic. Every principle of the Gospel is deep, or has some deep doctrine in it, but I would always just stick to the curriculum because some of that stuff was just too deep for seminary. It is still kind of disturbing because if they don’t learn this in seminary, where will they learn it? So I was 100% in the church, giving my all, but all was not well in Zion, and I knew it. Yet I had completely exhausted any other option I was aware of. My father and one brother had left the church for fundamentalism, and were for a time attached to an independent, but this held no particular interest to me. It seemed like a waste for them to risk their church membership over a few issues and then be left without even partial ordinances in the temples of the church. Isn’t something better than nothing? I mean at least the church still had temples and some of the ordinances at least mostly intact. So if I had one doctrine and practice that I placed over others it was temple ordinances. I attended regularly, and often thought of the missing portions when we rushed past them. They were written in my heart, even if the church had abandoned them. So one day I called on my lunch-hour and I was not kind. I ripped into the man on the other end of the line with a vengeance. I had had enough of mormon fundamentalists, and I was going to find out their particular errors. I tested them on every topic I could think of. Ordinance work: most fundamentalists don’t do all the ordinances, missionary work: most fundamentalists don’t do missionary work, How about dissent, the role of women, the nature of God, the meaning of Adam-Ondi-Ahman, actually living the united order and consecration? and on and on. The more I grilled them, the more insightful the answers, and the more justified they were, but I met with them a couple times and still wasn’t sure. One thing that was a big hangup for me was that Christ’s Church does not ordain Black men. Or more accurately they do not ordain anyone until they receive a revelation from God that the man is entitled to the priesthood by blood, through the bloodline of Israel by birth or adoption. In practice they have never yet refused an ordination to any black man, and would follow the will of the Lord on it if asked, but the doctrine remains as it did in the original LDS church that the Cannanites are not entitled to the priesthood, be they white or black. I had struggled for a time with my testimony in the mainstream church after I had learned that the church had ever refused ordination in this way, and I had my doubts about whether this was really just a racist false doctrine. Race has been used by many in the past as a surrogate to establish lineage, and I am not a racist! For that matter if I joined them I would not even necessarily be qualified to receive ordination or any ordinances myself unless they got a revelation saying I was qualified. I wanted the ordinances, and I didn’t want to associate with racists, and so these things bothered me. I gained a better understanding of the doctrine as taught since the beginning of the restoration (See my blog post titled The Doctrine of Lineage and Race.) But still I wanted to be sure. Essentially I learned that Christ’s Church was organized in April 1978, and that when “Official Declaration 2” came out only a few months later this was taken as a confirmation of the prophetic ability of Gerald Peterson who had received a revelation prophesying that the temples would be defiled and that a new temple must be built (the one pictured above). There are other more serious reasons the temples were defiled such as removing the temple garment, and changing the ordinances, but the most obvious reason was the changing of the doctrine of the priesthood. I decided to fast and pray and go to the temple. Then I fasted fervently. I truly poured out my soul to God. I prayed for a long time, it may have only been an hour or two of actually speaking, but it certainly seemed like a long time. My desires kept swelling up inside me, and I kept feeling the spirit prompting me to repent on one more thing and then another. I made a promise to God that I would go where he wanted me to go, or stay where he wanted me to stay. I said “Whithersoever thou shall call me to go, I will go, and if thou commandest me to stay I will stay, that all my outgoings may be in the name of the Lord, and all my incomings may be in the name of the Lord” I promised the Lord that it was not my will I wanted but his, and that no matter the price, no matter the cost, I would obey. I wanted to see his face, and I would do whatever he asked me to do. The next day I went to the Mesa Temple and prayed to know what to do. I met with the temple presidency. I asked if they had any insights about the changes to the temple ordinances, or the many other changes that have taken place. The Mesa Temple presidency was truly inspired. One counselor said that he felt the spirit clearly telling him that if I “could pray and understand what happened in 1978, you would realize that all the changes to temple ordinances were brought about by the same principle as Official Declaration 2.” He said that the principle was the same! This blew me away! He had no idea the implications of what he was saying, but I knew he was speaking the words of God. The spirit was powerful. (The sad thing is he felt the spirit too, and probably thought this was an argument for staying in the church, not looking for temples outside it!) I knew that the ordinances were sacred and should not be changed, especially not changed in the way the church was changing them! Cutting out whole covenants, characters, sacred signs, making that which was meant to be performed literally, now merely symbolic, etc. I realized that Joseph Smith always had taught that such behavior was the very principle of apostasy itself. This clearly sets up a simple pattern: Change the ordinances and you change the priesthood; Change the priesthood and it is no longer the priesthood of God but only a man made system. Now I had received the word of God confirmed by the spirit that this was the same principle by which Official Declaration 2 was made. It was all clearly apostasy, pure and simple. Still I didn’t know for certain that this meant “Christ’s Church” was where God wanted me. I wanted to know for certain. I went to the celestial room, toured the sealing rooms, participated in a session and the true order or prayer, where it was asked that all those present who had come to the temple seeking direction receive the direction of the Lord in answer to their prayers, and I even knelt alone in the changing rooms and poured my heart out to God. In answer I received revelation that day. I testify that I actually heard the voice of God speaking directly to me in the Temple. I know the voice of God, and the confirming witness of the spirit, there can be no mistake. I cannot relate the words of the revelation here, as it is too sacred and personal, and I was instructed of the Lord not to do so. But I can tell you that I was instructed to accept the doctrine of re-baptism. Re-Baptism for faithful members was once a common practice in the church. It was well understood for the first century of our history that the reception of one ordinance was not a cancellation of the other. Just as you do not violate your baptismal covenants by taking the sacrament, or taking it each week, you also do not violate but renew your covenants through re-baptism. Some of the early saints were re-baptized countless times. Brigham Young even had all the saints re-baptized after gathering to Utah, and whenever joining a united order. Therefore I decided to be re-baptized and see what happened from there. I traveled to Nevada where some of the members of Christ’s Church were, and I accepted re-baptism. It was not just like being baptized in water when I was eight, I was enveloped with the holy spirit in power greater than I ever imagined possible. When I received the laying on of hands I trembled from head to foot, and was filled with an anchor of peace so tangible I feared nothing. I saw visions, I saw prophets receive revelation, and I heard teachings more profound and complete than I had ever before contemplated. Here was a church that talks about Christ consciousness and ascension science right in conference along with how it relates to the temple, the chakras, sanctification, intelligences and eternal matter. I met prophets of God who exuded the Love of Christ in a way I had never felt in the presence of the first presidency and Quorum of the twelve of the mainstream church on the occasions I have met many of them. When these men in Christ’s Church spoke, they didn’t sound like the general authorities reading off a correlated teleprompter, they spoke with authority. I saw a prophet of God receive a revelation on my behalf, and I felt the spirit confirm it was true. I received a higher ordination in the priesthood. The power was immediate and real. It is hard to describe for a person who has never felt it. Let me put it this way: Before this and on my mission I had laid hands on the sick and they had been healed, even instantly, arising whole. I had received revelations in giving blessings and knew that my Father in heaven had spoken and acted through me. But when I was ordained again, it was as much more powerful than these previous experiences as the brightness of the sun, compared to the brightness of the moon. Since that time I have experienced things far greater and more sacred. New Temples have been built and I have seen angelic messengers with my own eyes. I have stood in the temple where Jesus has stood, and I have seen him visit the Temple for myself. I can now testify as the prophets of old that I know that God lives! for I have seen him! When I try and tell others about the power of God, and the joy I have found in the fullness of the ordinances. Not only the ordinances but the real results they bring of divine communion with God! They usually brush this testimony aside and just want to know the historical claims of the church, the priesthood lineage, and ordinations. They want to know when we “broke off” from the line accepted by their church, or even some trivia about our take on their particular gospel hobby. This pains me immensely as most of this does not bring benefit, and I usually feel constrained by the spirit to limit my remarks to the things each person is willing to receive. So I am usually limited to speaking only those things I am asked about. (Go ahead and try me sometime, just send me an email: Gospel Fullness (at) Gmail .com (no spaces) or call me sometime at 520-203-2328. I will happily answer questions on any topic, but you have to ask, and if you want more you will have to express a willingness to accept and live by the commandments of God thus revealed. Few are willing to pass this test, which seems strange, but it is self selective. People only obtain what they want to seek. This is why Jesus encouraged seeking and asking, only those who seek shall find, but knock and the door shall be opened. (Matt 7:7, 3 Ne. 27:49, D&C 11:15, etc.) One topic that I don’t mind discussing a bit is Priesthood. Because I am so often asked about this I will answer some of these authority issues now. After all I can only assume that many who have read this far have now begun to think, “how can he have had such experiences? What is the authority they claim? etc. Priesthood lineage brings up some very interesting authority issues, and I am happy to address these issues because they are important, but I first want to point out an authority issue that is more important and straight forward: By their fruits ye shall know them. I know the priesthood and ordinances and revelations and presence of the Lord are with this people, and in these temples, because I have seen them there. For me it is that simple. When I eat an apple I cannot mistake it for another fruit or type of food. I simply know one when I see it, and taste it for myself. I may not know all things about its origin, or what tree it came from, or who planted and watered that tree, but I do know it is an apple. Most of us eat fruit from the store and never see the tree, or even know what country the tree is in, but we can still tell an apple from a banana without a botanist to explain it to us, or an eye witness to the entire chain of custody since it was on the tree. In evaluating priesthood claims we have the tendency as Latter-Day saints to get into discussions of origins and chains of authority only because we have largely forgotten or misunderstand what the real fruit is supposed to taste like. we have the fruits of many traditions, and lines, and groups, and churches in our mouths, but we have forgotten which one is the “apple” of priesthood. So because we cannot identify the fruit by its actual taste and appearance, we are left to argue about the historical transmission of a simple knowledge that is so largely lost that we have people running around claiming any and all fruits are the “apple” or that they have the only true “apples”. It is so simple, that if it were not so tragic it would be comical. I do have a basic knowledge and understanding of the historical transmission of authority, and I have answers for the problems so many have asked me about, but for me such issues become fairly insignificant as soon as you know what to look for and see it right in front of you. I know the priesthood has been transmitted successfully because it is here. No matter how bumpy the ride may have been getting it here, there is no question as to whether it is here or not. This is the problem among nearly all Latter-day Saints: they do not have the priesthood, and so they want to argue about historical transmission because they make several wrong assumptions. First, they wrongly assume that they have the priesthood. Second, they assume that the priesthood is invisible, and inscrutable. Third, they also assume that it can be reliably transmitted by anyone who has been ordained. This is all nonsense. If it is not apparent, then it is not there. It should be as plain as the nose on your face. So I don’t really care if a man has been ordained directly by God himself in front of me, if he does not then exercise priesthood in an apparent fashion then he probably doesn’t have it. This is because no amount of ordinations means that a person actually has the priesthood. It is like the laying on of hands for the gift of the Holy Ghost. Not everyone who had hands placed on their head has actually received the Holy Ghost. If so then everyone who has received the ordinance, would have received the gifts. It is easy to loose the priesthood, or to fail to actually obtain the power from heaven when ordained. So it is not really a matter of ordinations or history, it is a matter of being called of God, and receiving the authority from him. This is done in an orderly manner and by the laying on of hands, but that is not where the power comes from, the power comes from God. So when I see LDS people, especially fundamentalists, arguing about where the priesthood is like a game of “Button, button, who’s got the button?” I am saddened by the unbelief of the people. 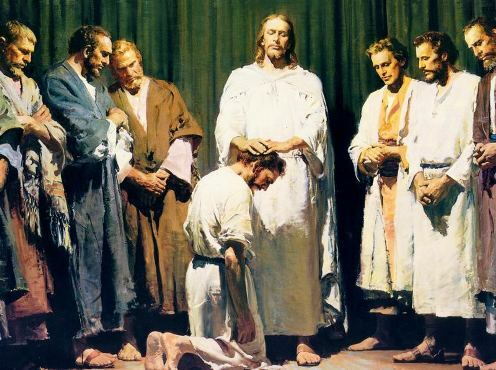 Unbelief that God can do his work, unbelief that the priesthood is something more powerful than an invisible authority, and unbelief that if they will just humble themselves as children and seek to obtain the ordinances, pray for the power of the priesthood, and obey the commandments that they will be able to receive all the promises of the Gospel. Many think they need to look outside themselves and find someone with a good ordination line, and then trust that man to get them to heaven. What they need to do is trust in the Lord, that nothing will be withheld from those who Love him, and get to Loving him! Then the rest will work out alright. The priesthood is like the fruit of the tree of life, when you taste it you will know. The only reason people are debating it is because they are still lost in the mists of darkness and don’t know how to find it. (1 Ne. 8) The only way to find the tree, in this case the priesthood and ordinances of God, is to hold fast to the Iron rod of the scriptures and look for the only people on the earth who are organized in accordance with the full pattern given there. Once you taste it, it is worth it! Believe me, you want some of this fruit! Don’t listen to the nay sayers in the great and spacious building who point the finger and say “apostate!” “break off group!” “fundamentalist!” or call you other names, just look for the pattern, read the D&C especially 20, 107, 131, and 132. Look for the signs of Mark 16, the fruits of the spirit mentioned in Galatians 5, and Moroni 10. When I looked at these requirements at first I was overwhelmed, thinking nothing that good could be on the earth. The church didn’t have all the order and ordinances, and the other branches of the LDS movement seemed to have even less, but keep looking! the tree is out there. D&C 121 speaks of the priesthood as a principle which is activated or neutralized by our spiritual potency. It speaks of the priesthood distilling upon our souls, and flowing to us by right principles, and as ending abruptly due to sin, even without our being aware. As such the priesthood is something we receive directly from God, and by principles of Godliness, not just by ordination. It is like the relationship between the laying on of hands for the gift of the Holy Ghost, and actually receiving the gifts of the spirit. Many people have had hands laid on their head, but few have actually received the gifts that come when the Holy Ghost actually is received. The same is true of priesthood, many have been ordained who have no priesthood at all. That is because the ordination no more gives the recipient the priesthood than, laying on of hands ensures the gifts of the spirit will be received. To obtain actual priesthood power we must seek it, ask for it, and activate it by true principles. The ordinance gives us the command and commission to seek and receive the gift, it does not give the gift itself. One way of looking at different levels of priesthood is from the perspective of obedience to telestial, terrestrial and celestial laws. If one wishes to command the elements by the power of the priesthood he must first understand which law he wishes to invoke. Then he must be obedient to that law in order to activate it. This is why God is God. he is obedient to the eternal laws, he embodies them, thus they are obedient to him. I testify simply that the fullness of the ordinances and thereby the priesthood to administer them exists in its fullness only in Christ’s Church, at least as far as I am aware. For it does exist there in the sense of organized quorums and priesthood file leadership, and also patriarchal order etc. This is also the only church which builds and operates temples where the ordinances are administered according to their original and complete form, as God commanded. Further, the blessings, of which these ordinances are but a type and preparation, are manifest in the lives of many who have received these ordinances. There is real power in this priesthood, and my faith in the priesthood is being replaced day by day with not only faith but sure knowledge, For I have seen its real and tangible power. I have only seen ordinances exist in limited forms elsewhere, a piece here and a piece there. As such the fullness can only be obtained in a temple where ALL are manifested at once. I rejoice in the miracles and work God is doing and has done in the mainstream church, the AUB and even the world at large. There are examples of partial priesthood manifested in all these places, even outside Mormondom and Christianity altogether, but these authorities are limited in scope to matters that cannot part the veil and bring us into exaltation. If one wishes to obtain this inheritance he must come in by the gate, which is obedience to all the laws rights and ordinances. If any one of them is missing, whether it is being organized in your family, your quorums according to the D&C, your consecration, your temple ordinances for the living and the dead, or any other thing the gate will remain closed. I have seen this pattern and fullness nowhere else but in this little last olive branch of Israel, Christ’s Church, the Righteous Branch of the Church of Jesus Christ of Latter-Day Saints. This is not meant to be overwhelming but informative about what to look for so that you can obtain line upon line. The fullness of priesthood authority is only administered according to these revealed principles, and I have seen it in action. I have visited the Kirtland temple many times, and the place itself was transformed by the presence of Christ. This sweet testimony still falls on many who enter that holy place. For there is where the Lord himself stood! This feeling is not in the Taipei Temple. True it is a holy place and the spirit can be felt strongly there, but the Lord’s presence is not there, and his ordinances are not performed there. There is a tangible and immediate difference between a partial ordinance and the fullness of the priesthood in action. For a short time the full order of the Lord’s people was in Kirtland, and a small group obtained all the keys and power and ordinances necessary to enter the Lord’s presence. I had often wondered what it would have been like to have lived then with a prophet who actually receives revelations, and to have gone to the school of the prophets and hailed my brethren with the Holy signs of the priesthood. (D&C 88:133) Now I know, for that order is here now. There are prophets that actually prophesy, seers who can see, and revelators who reveal! there is a temple where the Lord himself has stood and been seen by many! Organized and teaching each other in the same order as revealed by the Prophet Joseph Smith. Still there are many who will not believe my testimony, and so they want to hear the history. They want an explanation about how the priesthood got to be here. Most do not think it possible that temples could be hidden away in a desert somewhere, full of prophets who have seen the Lord, and who have actual divine power. The history is not nearly as exciting to me as the present and the future, and sadly the history of the church has not been very uplifting. The problem is that we have many traditions as LDS people, and we want to see if this history fits with our most cherished traditions. Sadly, the history is not entirely compatible with those traditions, and so those who will not come forth with a broken heart and a contrite spirit will never be able to discover if the priesthood is here or not. I’ll give you a few anecdotes of the history now, and then give you a better post on the topic soon. When Rulon was martyred, he had a council in place, and I believe that it is a good thing too! Owen attempted to continue the work of his brother, and this has doubtless been a very good thing, but that does not mean that he truly had and exercised the keys. prior to his death Rulon ordained, and gave the second anointing to several people. Any of them could have presided if it was according to God’s will. 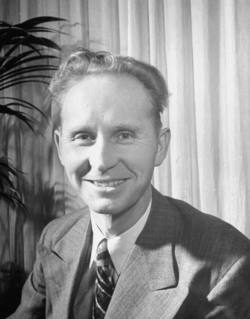 Owen had received the necessary ordinances, and was next in seniority, so he continued to lead the AUB. but this was because of tradition, not because he had all the same gifts. Still he was a good man, and I have very little if any bone to pick with the AUB. I believe that they are still doing an important work, and filling a necessary and important role in God’s plan. I feel the same way about the church even though they have wandered a little further off the path. The AUB have however become much more like the church was just 50-60 years ago. (pre correlation) Sadly, most fundamentalists are more attached to their traditions than finding the truth. The day that Rulon was martyred he appeared to many people as a spirit, and then to a few as a resurrected personage. One of the people he visited was Gerald Peterson. Brother Gerald had already received all the ordinances, including the second anointing, from Rulon while he was alive. This meant that he was one of many potential successors, if the Lord would so choose. He had all the priesthood and ordinances that any man needs, or can receive, while in mortality. This means that it is not a new dispensation, but that also does not mean that God and angels cannot appear and instruct prophets, and thereby give them greater authority. When Rulon visited him he set him apart to do a greater work, and healed him of his injuries (Gerald had a spinal problem at the time.) At the time Rulon had already died, so I suppose that this means he was coming as an angel, and he did set him apart to do more work, so this has led some to say that it was a new dispensation, but I do no think that is what it means because Gerald already had the priesthood. It is not like the keys left the earth and then came back. All who receive the apostolic authority, and especially those who have received the second anointing have all the keys. In fact read D&C 107 and you will see that the fullness of the keys are in many of the quorums, and therefore if even one elder remains on the earth it would be his duty to reorganize all the quorums of the priesthood, and perform all the ordinances he has received. Gerald was not a member of the council at the time, but then again Rulon was not a member of the council to begin with either, and had to reorganize it. So to me this is not an issue of a new dispensation, but it is contrary to some traditions about institutional continuity. One of the reasons this is so hard, is because we are all out of order at times, and by definition all of our churches save one (if any) will always be out of order. One way of looking at priesthood is that of the electrical switch. If any part of it is out of order then there is no power, no priesthood. So in order to truly be in order you must be in an order of other priesthood holders. Think of the similarity between the words Priesthood, and Neighborhood. Just as a neighborhood is a gathering of neighbors, so too the priesthood is a gathering of priests. The Scriptures clearly teach us how to organize this priesthood, and the exact ordinances this priesthood must perform. So whenever this system is out of order, and the priests are not organized there is no longer a “priesthood.” This priesthood consists of apostles and prophets, elders, seventies, and has one to preside. They are unified in all things, for if ye are not unified in temporal things you cannot be unified in spiritual things. (D&C 27:13) Remember that Jesus said “If ye are not one, ye are not mine.” We are called to be unified, to be one with each other, and one with Christ, even as Christ is one with the Father! This is no easy or small task. But with God, nothing is impossible! Tagged LDS, mormon temple, testimonyBookmark the permalink.